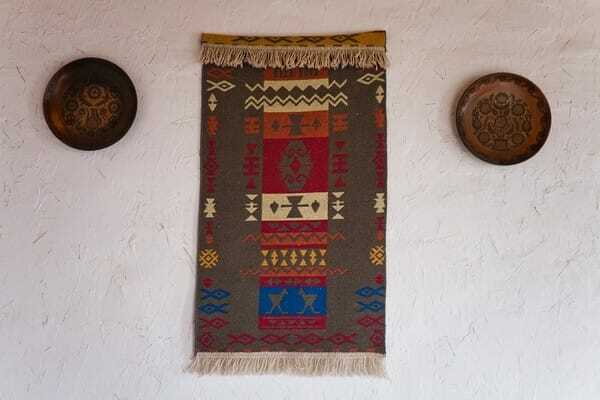 Guest house "Servet" is decorated in an ethnic Crimean Tatar style. 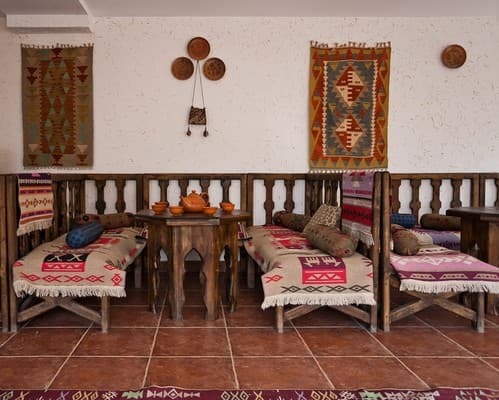 Located guest house in Sudak, 130 meters from the sea at the foot of a beautiful nature reserve - Mount Alchak. A small river flows along the courtyard of the guest house. On the territory of the yard there are pavilions for rest, a brazier, a swing. For guests arriving by car, parking is available. There is also Wi-Fi throughout the guest house. For accommodation guests are offered two-, three- or four-bed guest rooms with all necessary amenities. The suite includes: a set of furniture, TV, air conditioning, a small refrigerator. Each room is equipped with a private bathroom. Hot and cold water is supplied around the clock. 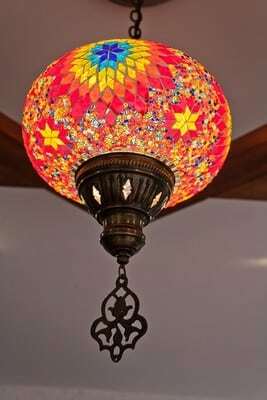 In the infrastructure of the guest house there is a cafe with oriental cuisine. Lunches can be ordered directly in the room. One of the popular places for rest in the guest house is the "Center of Shashlik Technologies". The chef will offer guests to taste dishes from meat and vegetables cooked on an open fire or in a tandoor. PRICES MAY CHANGE, IT IS REQUIRED TO RECEIVE INFORMATION FROM THE OPERATOR. Description of the room: Double room with a large double bed and everything necessary for a comfortable stay. All rooms are designed in oriental style. In finishing the rooms only natural materials are used: clay, stone, sand, straw. It is possible to provide one additional seat. Description of the room: Triple room with single and double bed. In finishing the rooms only natural materials are used: clay, stone, sand, straw. Description of the room: Spacious room for 4 people. 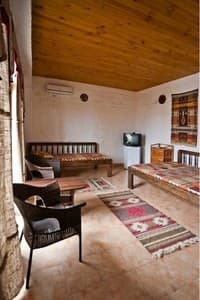 Each room has beds, air conditioning, furniture, refrigerator, TV, bathroom. In finishing the rooms only natural materials are used: clay, stone, sand, straw. Район ещё оасстраивпется, немного доставила неудобство стройка рядом. К самому отелю и его сотрудникам замечаний нет. Большая часть территории Судака проигрывает другим крымским городам по чистоте, озеленению, благоустройству улиц и пляжей. очень красивый дизайн. Хорошая кухня и приятная атмосфера. доброжелательное отношение хозяев. Что важно -хорошая звукоизоляция. Очень интересная обстановка в холле и в номерах,очень внимательный,отзывчивый персонал,прекрасная и не дорогая кухня.В холле есть развлечения для детей,так что даже в плохую погоду им не скучно. Доброжелательный персонал, индивидуальный подход, внимательность. Дизайн и стиль оформления гостиницы. Вкусная домашняя кухня, доступные цены. Children are accepted at any age, additional places are provided. In double rooms there is a clamshell euro. 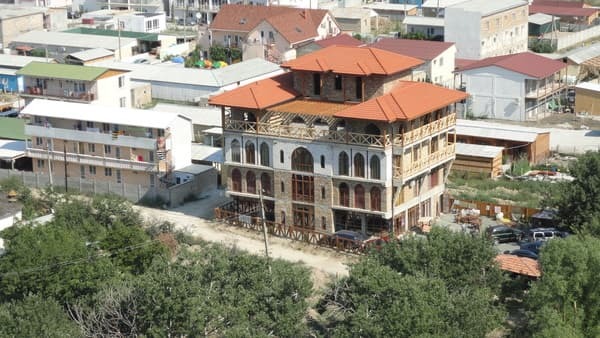 The guest house is located in the area of ​​the Aquapark, near the mountain Alchak, to the beach and the embankment 130 m.
Transfer from Simferopol to Sudak. The nearest railway station is in Feodosia. From Feodosia by bus to get to Sudak, through Koktebel. Travel time is about 45 minutes. If you go from Simferopol: next to the railway station are auto- and trolleybus stations. From there, by bus (traveling time 2 hours 30 minutes) or by shuttle bus for 1.5 - 2 hours.